The last one got me. Extra funny, I possibly helped. I liked them all, but the Yoda one hit close to home. I found two stuffed (and infused with catnip) mice Squiggles received for Christmas on the floor last week. They looked very similar to the damage done to Yoda. We can't keep cat toys because the dog chews them up. Sigh. Awesome pics Sandra. Do have a wonderful Wednesday. Thank you, Yvonne:) And you. 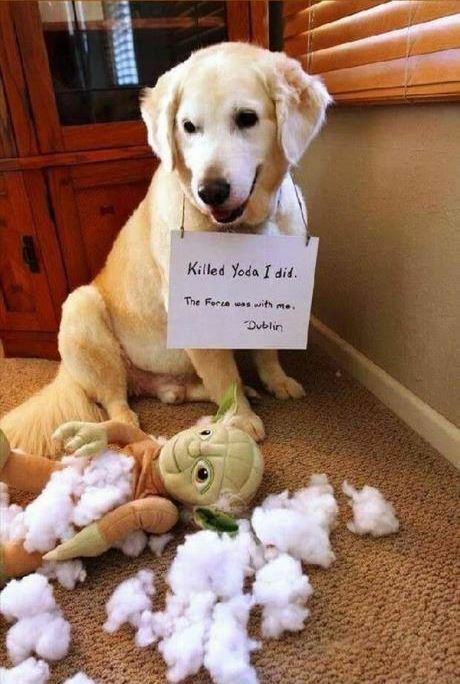 haha poor Yoda. The last one was great. 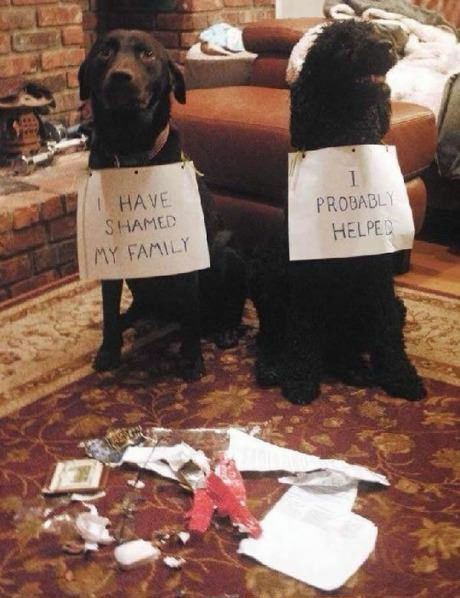 Dog shaming! I love it. I have a calendar if cat shaming that is so funny. I bet that's a hoot, Di. Those are funny! :-D And I can't get over the teddy and puppy twins. Wow! Glad you enjoyed them, Jamie. Isn't that the truth, Steve? I hope you had many smiles today, my friend. I especially loved the last one ! These are too funny! LOL! 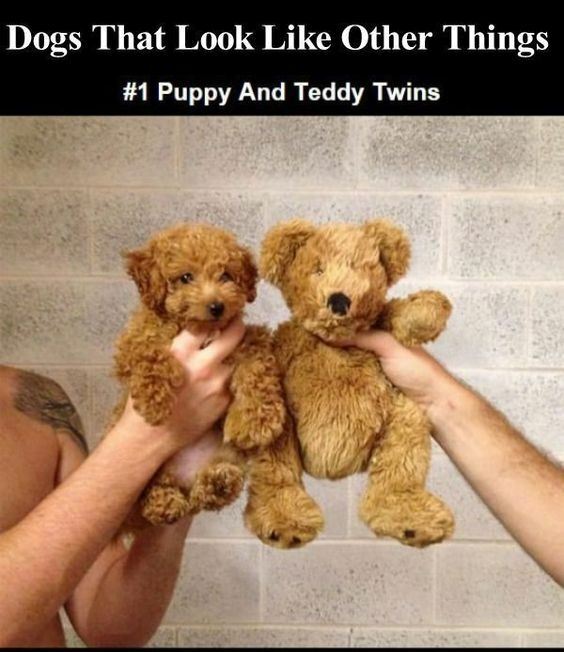 That teddy and puppy one is adorable!! Big Hugs Sandra!